In August 1999, a talented young snowboarder named Nate Chute unexpectedly took his own life at the age of 18. Nate’s death sent an avalanche of grief over his hometown of Whitefish, MT, yet the response from his friends and family was swift and thoughtful. 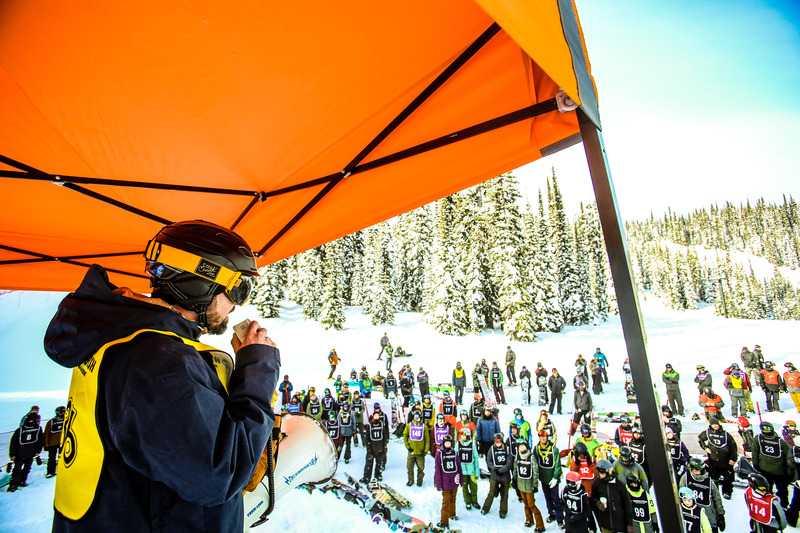 They gathered at Whitefish Mountain Resort to race in his name, and called their gathering the Nate Chute Classic. Twenty years later, the Classic is going stronger than ever. 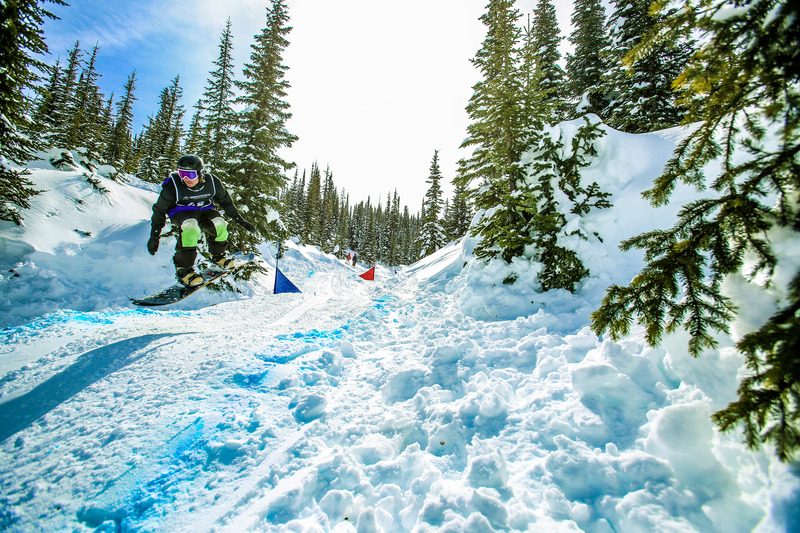 ABOVE Max Tokunaga, coming in hot at the 20th Annual Nate Chute Classic. “We wanted to honor Nate’s legacy, and hang onto our friend in some way,” says Shane Moulder, Nate’s childhood friend and organizer of the Classic. 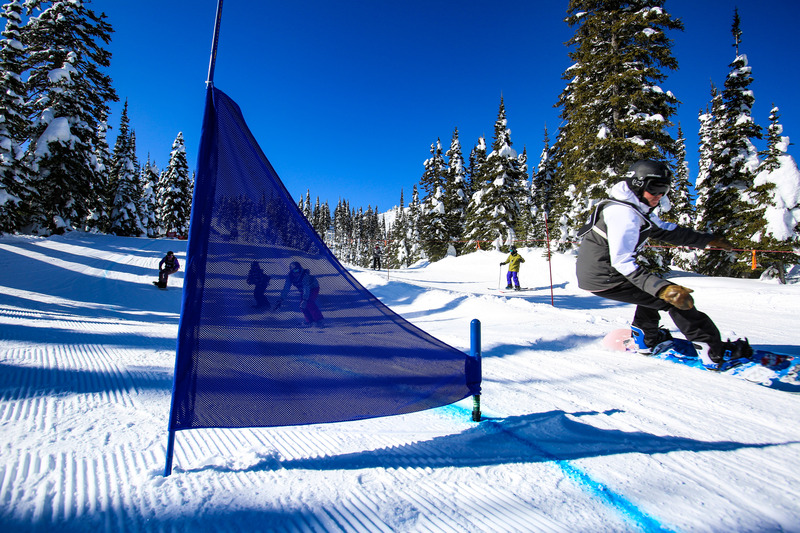 “Creating an event that encompassed all the things we loved to do when Nate was alive was a no-brainer, and we spent all our time together on the mountain.” Standing here now at the 20th Annual Nate Chute Classic, the weather couldn’t be better. Under bright blue skies and a beaming sun, the stoke is high. ABOVE Shane Moulder, one of Nate’s all-time best friends, giving a speech to the racers on day one of the 2019 Nate Chute Classic. 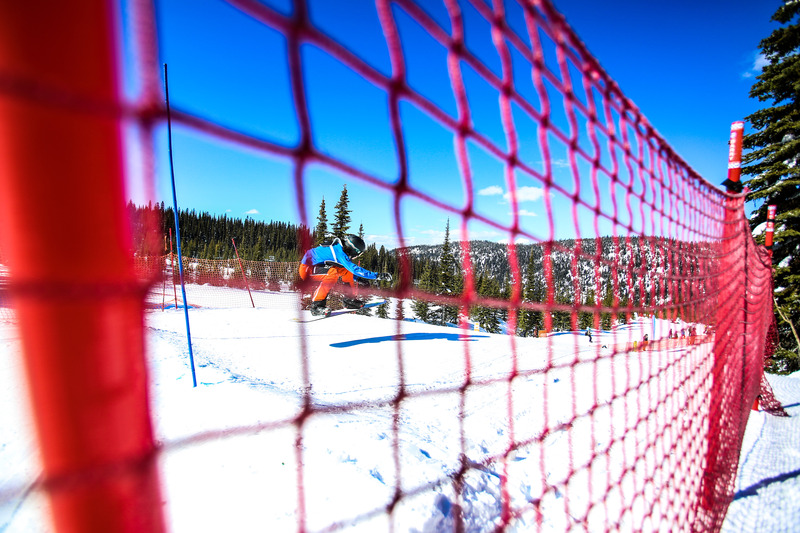 The Nate Chute Classic is broken down into two days, with a banked slalom on the first and boardercross on the second. Preceding the first drops on day one, Shane delivers a heart-tapping speech regarding mental health stigmas, the importance of opening-up communication in our community and to reach out for help if need be. “It’s okay to not be okay,” Shane says. We cheer in Nate’s honor. Now it’s time to race. ABOVE At the top of the course with four racers in the Open Women division, readying to drop in groups of four for the boardercross race on day two of the event. Watching the first few drops on the tight, low angle course, it’s clear these racers are riding with purpose. 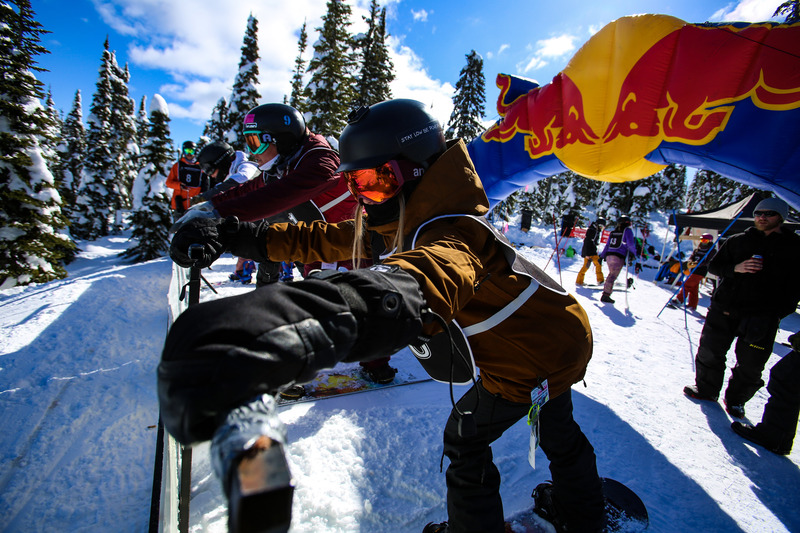 The berms are fast, hectic, and things would only get crazier the following day when racers start dropping in groups of four for the boardercross. There’s a general-consensus that this year’s course is a blast, slush and all. ABOVE Timothy Amish en route to a 1st place overall finish in the Open Men division. By the end of the weekend, the 2019 Nate Chute Classic raised over $33,000 for the Nate Chute Foundation. These proceeds will go towards funding the continual efforts of the non-profit organization; evidence-based training to identify suicidal behavior, support for Montana’s public schools through student education on signs of suicide, and financial assistance for professional counseling to young people at risk of suicide. ABOVE Open Women’s boardercross madness. Zoë Vernon ended up claiming the overall top spot in her division. See the full 2019 Nate Chute Classic Race results here. Read more about the Nate Chute Foundation here. Special thanks to Shane Moulder, Jane Kollmeyer, Terry Chute & the Nate Chute Foundation crew. Thanks also to Whitefish Mountain Resort and Stumptown Snowboards for their support, and to everyone who makes this event so special. See you again in 2020.